Nicola joins the team in Vision after 12 successful years with Lloyds Banking Group Private Banking. Nicola strongly believes in offering a professional yet personal service to clients, building long term relationships based on trust, professionalism and expertise. Meeting clients face to face to take the time to truly understand their priorities and aspirations. 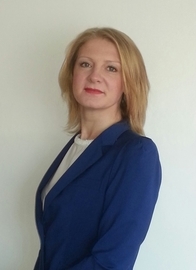 Nicola will meet her clients on a regular basis to adapt plans to meet changing circumstances. Nicola brings a wealth of knowledge and specialises in advising high net worth clients covering areas such as investments, pension planning, protection and inheritance tax planning. Nicola can also help you review existing plans to enable you to meet your financial goals.